This mixed-use property is located in Dupont By the Castle, one of Toronto's many culturally diverse neighbourhood. The immediate area is filled with stately homes, condos and office buildings. Due to the proximity of George Brown College, along with nearby cafés, restaurants and retailers, this area sees a high amount of foot traffic. Nearby TTC routes include the 26 Dupont east- and westbound buses, while the Dupont Subway Station is adjacent to the property at the Spadina intersection. 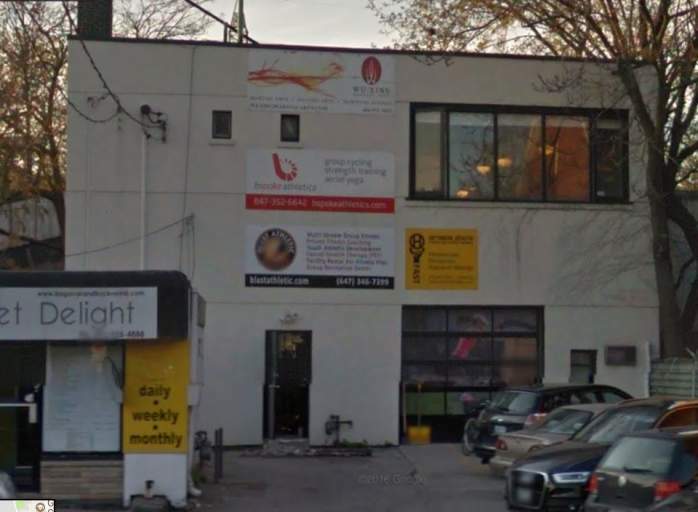 This rental space at 374 Dupont Street features four units: two industrial, one storefront and one second floor studio. Two of the units have garage bay doors, with one unit set up as a carwash. An L-shaped parking lot covers the front, side and rear of the building.